抱歉，本酒店描述暂无中文版本。 If there’s another hotel quite like it, we don’t know about it. Spoor 62 is a masterfully designed two-room b&b housed in a historic railway station in the countryside outside Bruges. 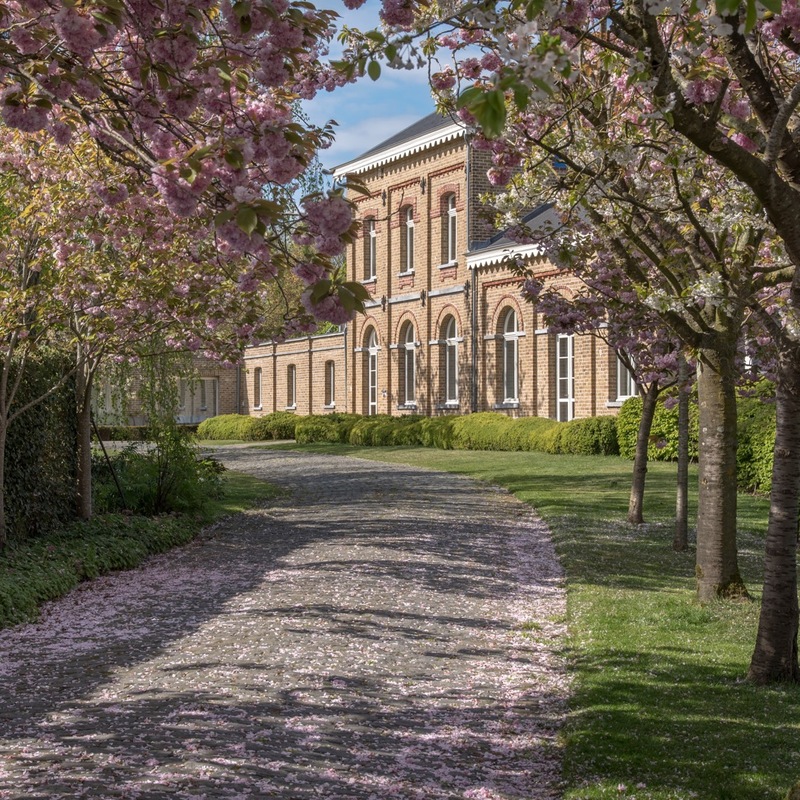 It’s clear that great care went into restoring the old brick station, a stop on the storied Pullman Express line between Paris and the resort towns of the Belgian coast, and today it positively glows with warmth and an understated countryside glamour, just as it must have done when affluent Parisians were passing through in the Twenties on their summer vacations. Where the hoteliers’ care shows most, however, is in the two rooms themselves. Take the beds, with their billowing duvets covered in custom-made linens and satin sheets, the box springs adjustable with the press of a button. The towels and robes are luxury-hotel fluffy, the eggshell-shaped bathtub in one room and the glassed-in shower in the other utterly spotless. 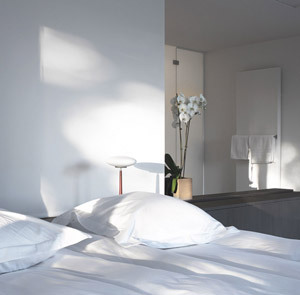 There’s a dedication to white-on-white that, even in the latter days of hotel minimalism, you rarely see — no pops of color here, unless you count the green stem of a white orchid, or views of the garden outside. If you can leave the cloud-like bed, the gardens outside are very inviting, dotted with well-cushioned hammocks and mossy trees, rolling fields just on the other side of a rustic wood fence. Follow the driveway out through a tunnel of overhanging tree branches and there are lots of quiet roads to explore. The hotel will rent you a bike or a retro scooter. Once you’ve gotten all the wind your face can take, there’s an Eames calfskin chair or a Le Corbusier chaise longue to be settled into back at your humble little b&b. 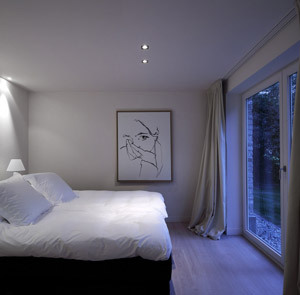 Spoor62 is located approximately 20 minutes away, by car, from Bruges. Please contact CustomerService@TabletHotels.com for more information or assistance with transfers. No pets allowed. Non-smoking property. Children welcome from 14 years.